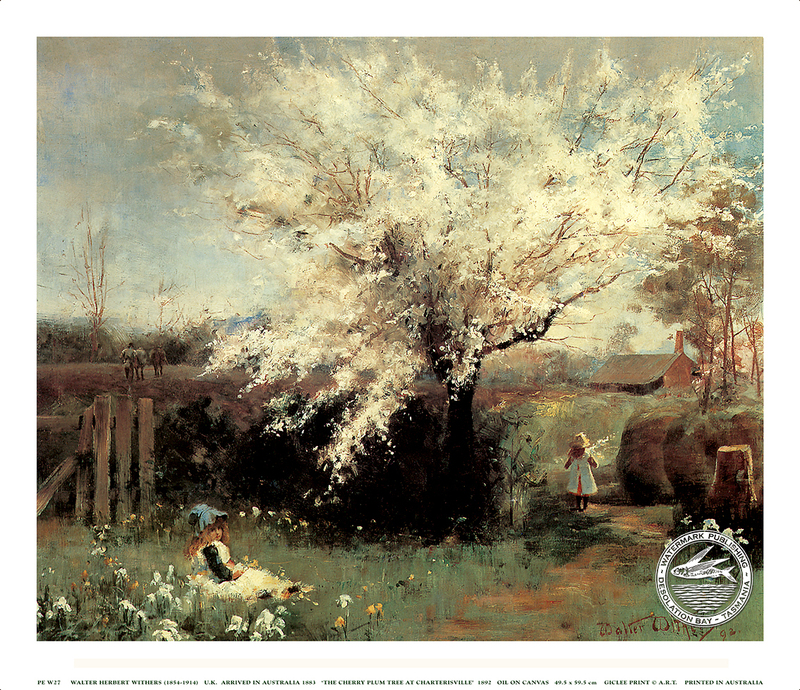 Walter Withers (1854-1914) was nicknamed ‘The Colonel’ for his efficient and organised ways. 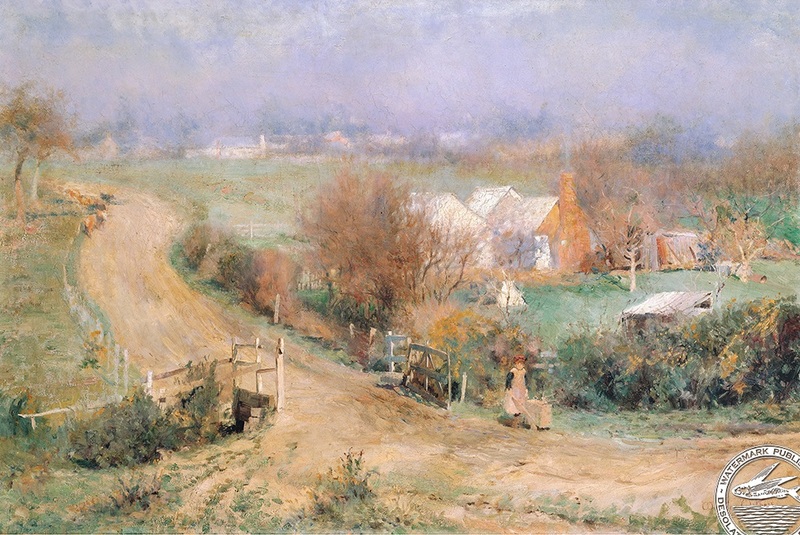 1870-82 at the Royal Academy and South Kensington School. 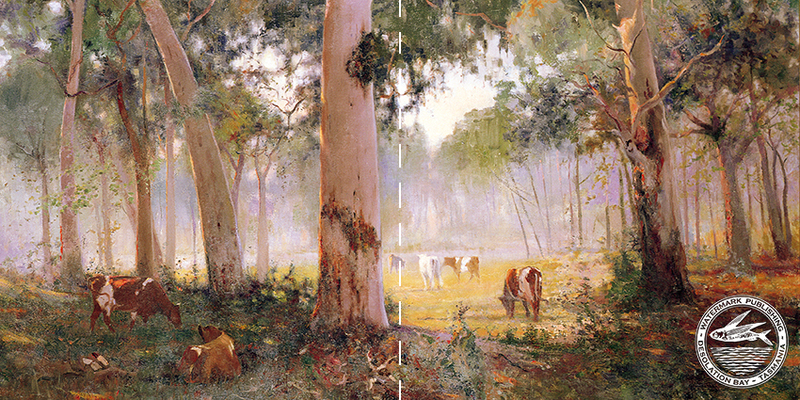 National Gallery School of Victoria. 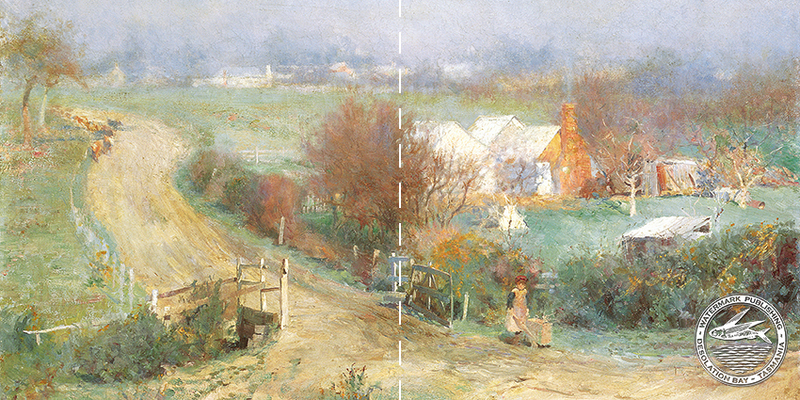 On weekends he would trek to Heidelberg to paint. 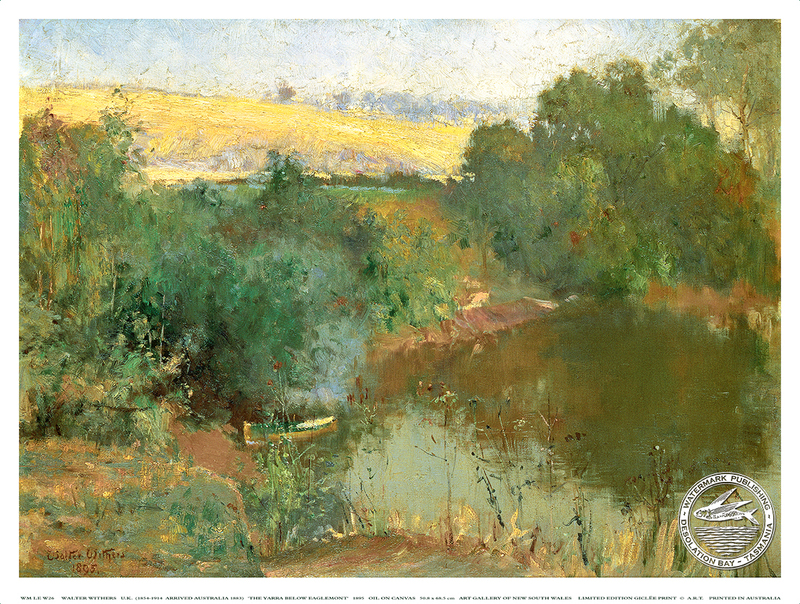 He returned briefly to England, got married, and during 1887-88 studied at the Academie Julian in Paris. 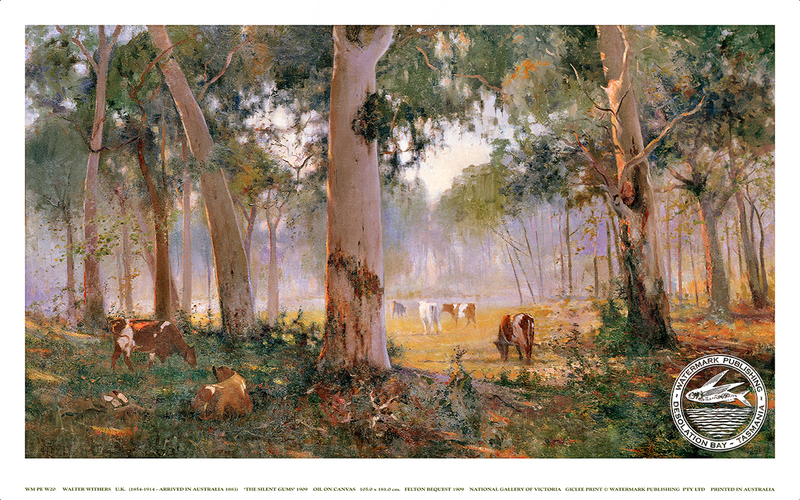 By 1889 he was back in Melbourne painting regularly with the Heidelberg artists. 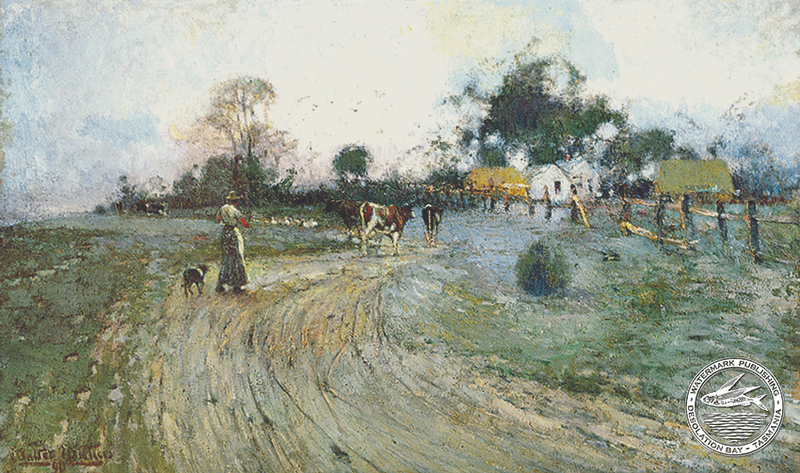 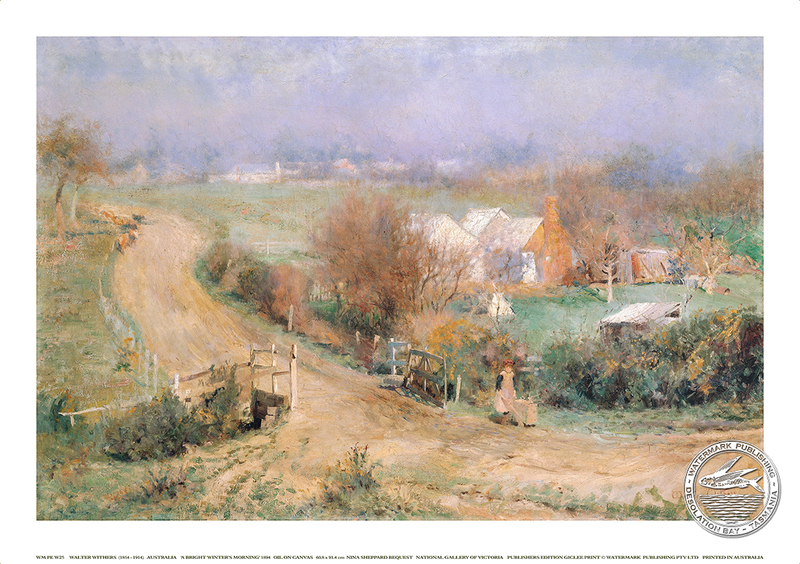 He maintained a studio and held ‘plein air’ painting classes in Creswick and later at Eltham where he passed away in 1914. 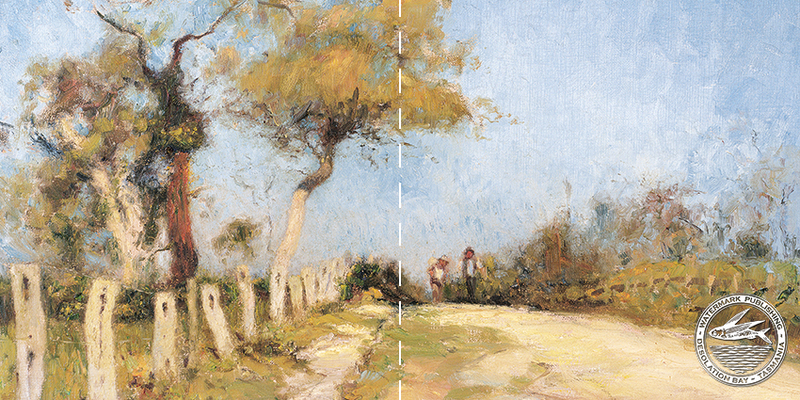 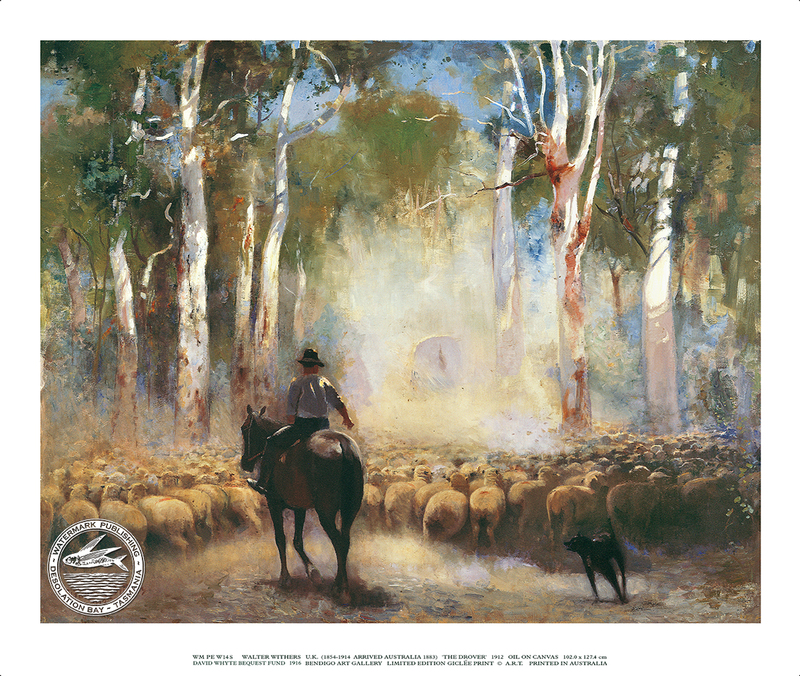 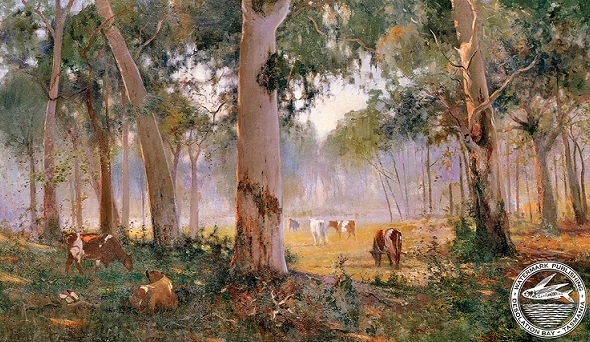 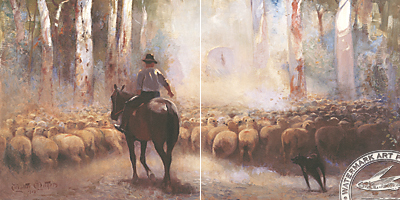 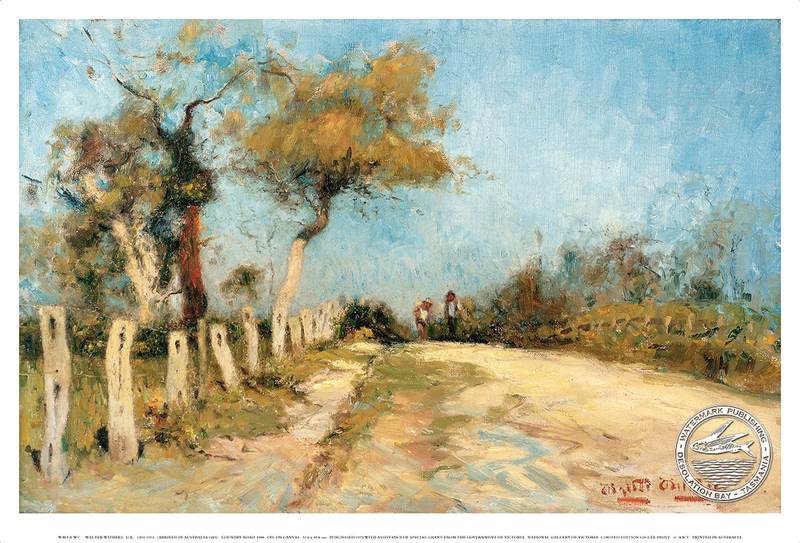 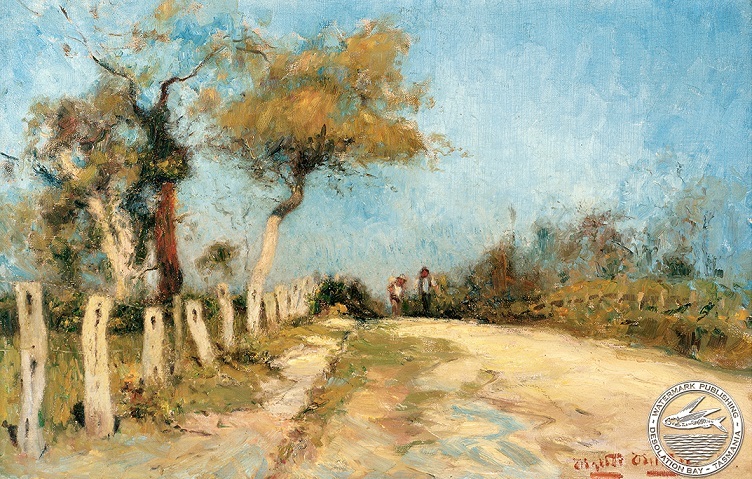 His soft, atmospheric handling of Australian country scenes and timeless palette has ensured Walter Withers continuing and widespread popularity.